You’ve got to admire the tenacity of a cartoon viking. These ones led a life of looting, drinking and pillaging, just as the gods demanded – but were sent tumbling back to Earth after death, the gates of Asgard shut in their faces. So they’ll climb back up the mountain, over and over, gathering food and chopping wood to fuel their march back to Valhalla. The setup is familiar from The Settlers, but the vikings aren’t building a home – they’re going somewhere. 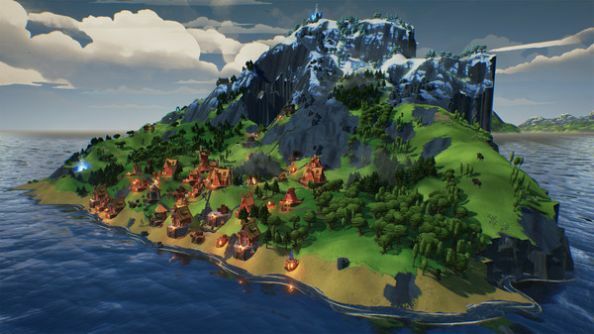 Beyond the procedurally-generated island that hosts each of Valhalla Hills’ scenarios, there’s a horizon – dotted with peaks and volcanoes, more mountains to conquer. Häuser was one of the first staffers at Blue Byte – the German studio since acquired by Ubisoft, where he worked on The Settlers 2 and eventually became a studio manager before leaving in the late ‘90s to start Funatics. 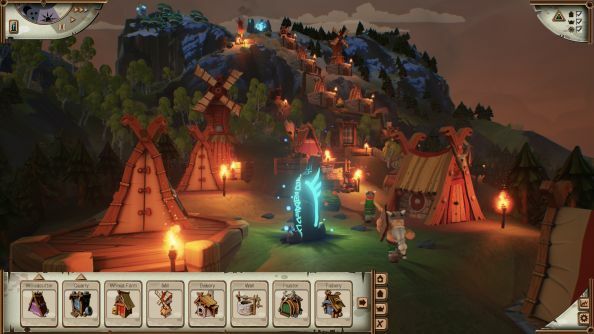 There he’s adapted Settlers of Catan for the PC and reworked past successes for modern machines, but last year decided to make a “classic build-up strategy game”. Funatics found a backer in Hamburg adventure specialists Daedalic, who gave them “every freedom a developer could ask for”. In January, without a design document but with the total faith of their publishers, a team of nine began work on Valhalla Hills. The game quickly took shape around its vertiginous premise. Maps wouldn’t be pre-designed, but randomly generated around a central mountain – with each successive scenario in the campaign unlocking new systems to play with and goals to work towards. Like The Settlers before it, Valhalla Hills would be about logistics. Described that way, it sounds a lot like Anno, or Tropico, or Cities: Skylines. What is it about Häuser’s corner of the genre that he can’t find elsewhere? While the vikings busy themselves mining and moving resources, this is no RTS. 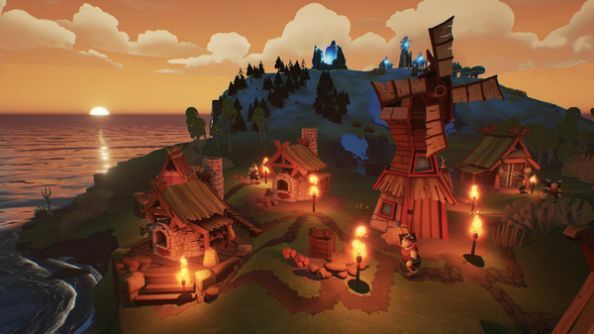 You play as the god of construction, and can inspire your vikings to build – but can’t steer them yourself. Your little wards pick their jobs, go to work, eat and sleep of their own accord. Mastery comes through watching their behaviour, and making decisions about building placement accordingly. It’s a small scale operation – allowing you to keep track of every viking, all of whom are named and persist from map to map. Which begs the question: do players get attached to their dependants? Even imagine personalities for them? Whether or not players choose to engage with it, Funatics have conceived a “comic, colourful” style that feeds into that familial feel. Like its predecessors in the genre, Valhalla Hills appears friendly and welcoming (“Also we are a small team and can’t afford to have a graphics artist spend two months just on one head,” points out Häuser). The studio have built the game in Unreal Engine 4, despite experience with Unity. That’s given them “a lot of power in the back”, for big hills and better lighting effects – the ambient details that complete the sense of a miniature world ticking away beneath your cursor. The team have lots of ideas for Valhalla Hills, and lots more are coming in from its nascent community – whose supportive user reviews have validated the best part of a year Funatics have spent working like vikings. 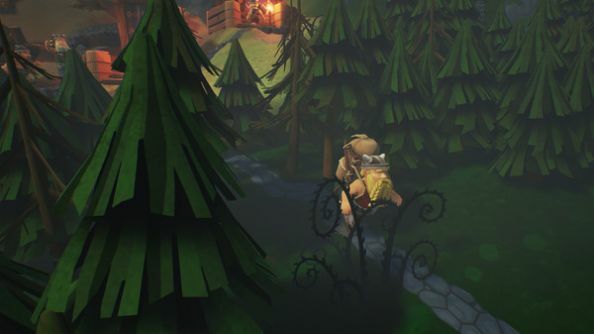 Valhalla Hills is out now on Steam Early Access. 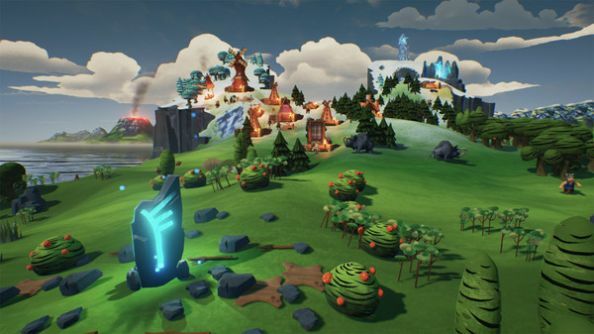 Unreal Engine 4 development is now free. 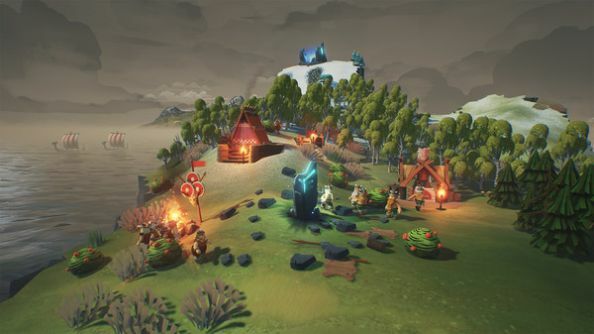 In this sponsored series, we’re looking at how game developers are taking advantage of Unreal Engine 4 to create a new generation of PC games. With thanks to Epic Games and Funatics.